The Barrington Police Department answered 466 calls and 160 complaints during November, including five reports of residential burglaries in the borough, according to the monthly report delivered to the borough council this week. That’s well above the borough’s average for residential burglaries: During the first 10 months of 2012, 14 residential burglaries were reported, according to the department’s monthly reports. The Bulletin has reached out to Chief Joseph H. Eisenhardt Jr. for comment on the burglaries. Any response will be posted here. During November, Barrington Police arrested 28 adults. That’s eight more arrests that during November of last year, along with 18 fewer calls answered and 11 more complaints answered. The department also issued 95 traffic summonses in November 2012 vs. 85 issued in November 2011. 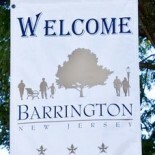 This entry was posted on December 20, 2012 by Barrington Bulletin in Crime, Safety.